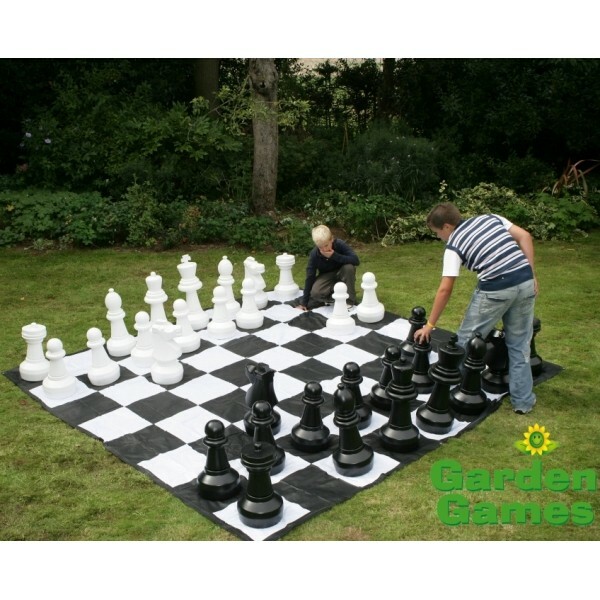 Giant Chess makes a stunning garden feature and an absorbing pastime. 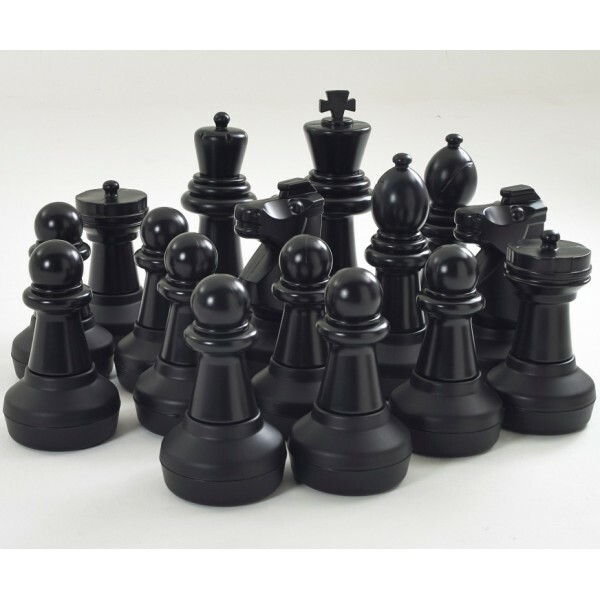 A fun way for beginners to learn this traditional game of skill and cunning. 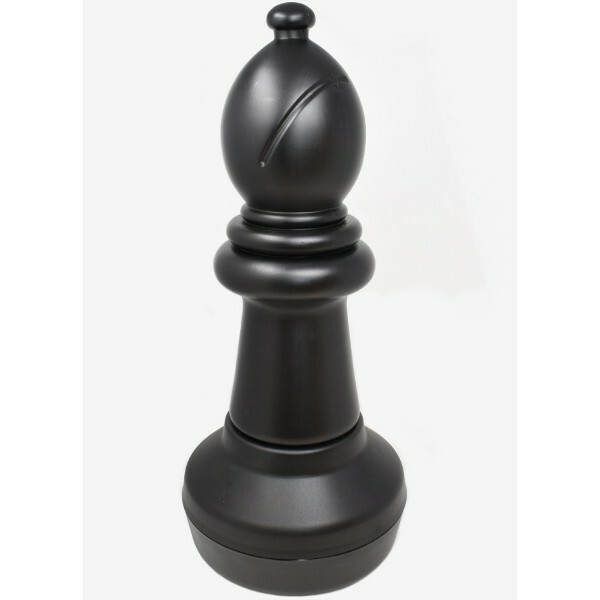 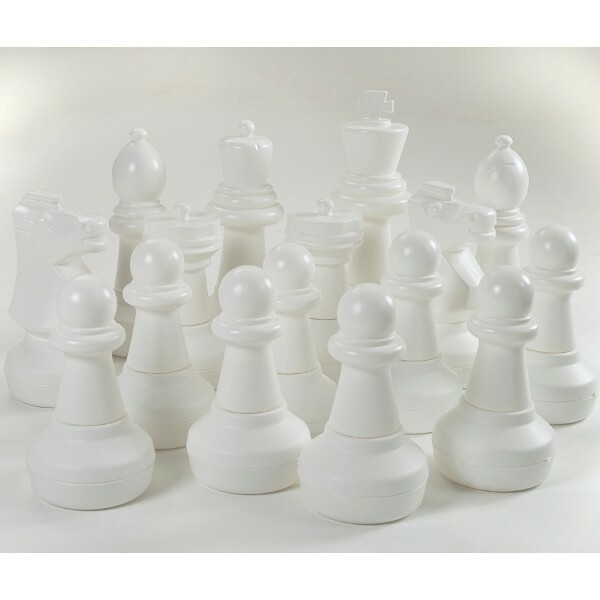 Impressive and practical, the giant plastic chess pieces come in two sections to allow them to be filled with water or sand to weight them. The giant chess mat is quick to lay and rolls up for easy storage in the plastic storage bag supplied.